Kristin Balter is the CEO of Kristin Balter Design Build; serial entrepreneur, mindset coach, life strategist and runs global mastermind retreats from Bali to Italy, Spain and Costa Rica. She obtained her BSc in Psychology at The University of Toronto and additionally studied at University of Western. She is the creator of Life by Design, the Magic Mastermind Series and most recently Simply Be Magic Masterminds, happening around the globe now. At the height of her very successful property and design company, Kristin found herself exhausted, overworked, stressed, physically sick and empty. Trying to juggle her life as a single mom, business woman, and well...let's face it...there was nothing left. She knew money and success was not feeding her soul and the stress was deteriorating her health. She was desperate for change. 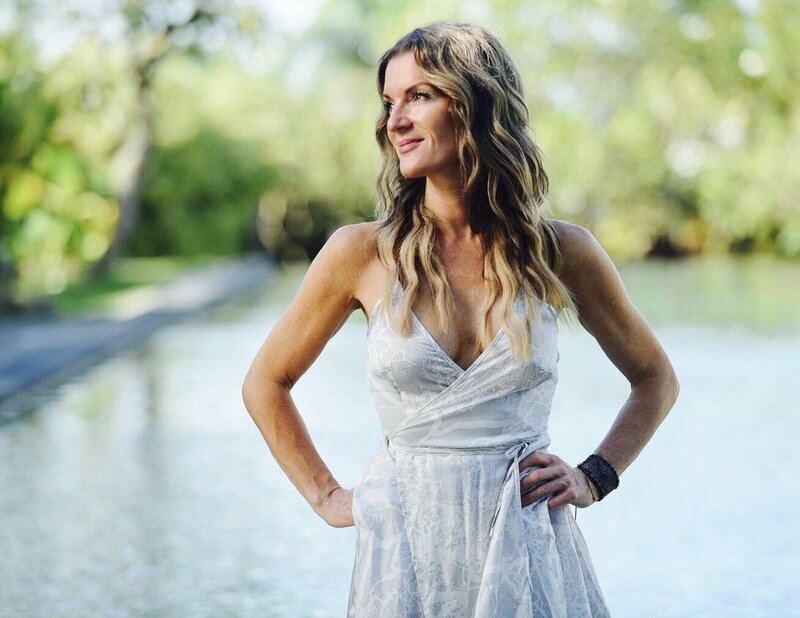 Kristin went on a half decade quest to discover her own happiness and deeper purpose, which led her to work with world renowned teachers, coaches and healers from all over the world. Through all of this, Kristin now travels the globe speaking, works one-on-one in life strategy coaching, and co hosts the Simply Be Magic Mastermind Series. Her main focus is to unfold the Divine Purpose in all of us and to guide in the flow of abundance in all areas; wealth, spiritual, health and relationships - so you can make create millions simply be being YOU; your Life By Design. Work one on one with Kristin to design and build your own Life by Design. The focus of the coaching is to eliminate limiting self beliefs and to shift mindset. These sessions provide you with empowering tools for change and alignment so you can be your highest self. Kristin is a powerful speaker who speaks to everyone from small businesses to large audiences. She speaks about changing your mindset and working from a place of purpose. SIMPLY BE MAGIC MASTERMINDS ARE a series of retreats held around the globe. They are high vibration, high fun experiences with a tribe of change makers like YOU. Retreats are focused on tapping into your greatness and unfolding your divine purpose. Tap into abundance on every level - in wealth, health, spiritual and community. ready to build your life by YOUR design? Thank you for contacting Kristin Balter. Someone will get back to you as soon as possible.